Dawie Maree, Head of Information and Marketing for FNB Agriculture, says agricultural technology innovation is evolving at an unprecedented pace, leaving farmers with no choice but to adapt and reinvent themselves in order to compete, grow and sustain their businesses. "The agricultural industry globally is successfully overcoming some of it's prominent environmental and food production challenges through the use of new and advanced technologies, and South Africa is no exception," says Maree. • Big data – the industry is increasingly using data analytics to improve operational efficiency and yield prediction. Farmers are now able to implement complex systems that assist them with equipment management. 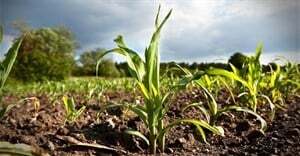 This is also combined with data on weather patterns, soil conditions as well as crops to be planted, to develop a formula to determine the best time and place to plant and harvest. Big data is also useful for forecasting demand for crops, the yield on crops, as well as potential land size and usage of land. • Drip irrigation – given the recent drought conditions which cost South African farmers billions of Rands in losses, there’s a lot of investment in the development of advanced drip irrigation technology, which allows farmers to limit wastage by efficiently delivering the exact amount of water to the soil, needed by their crops to grow. • Vertical farming – this modern form of farming used to produce food in a smaller controlled environment through vertically stacked layers to save on water and fertilizer – is no longer just a ‘buzz word’, but reality. A number of farmers in South Africa are already successfully using this technology as part of their farming practices. • Mobile apps – smartphones are no longer just used for multimedia purposes and accessing information through the internet. Farmers are now actively using apps to monitor their crops via GPS, calculate feed, save water, get access to networks and markets, etc. Maree says mobile apps have become a major disruptor in the agricultural industry. Developers globally are working around the clock to introduce app innovations that were once unimaginable – there are now apps that are able to spot over 430 weed species and identify their characteristics, at a click of a button. "Farmers are urged to regularly research and educate themselves on new technological developments in the industry to avoid being left behind. Those who are still pessimistic, do so at their peril," concludes Maree.